Get off at JR Hamamatsu Station. Board any bus from Bus stop No.15 or 16, North Exit Bus Terminal. Get off at Shizuoka Daigaku Bus Stop. 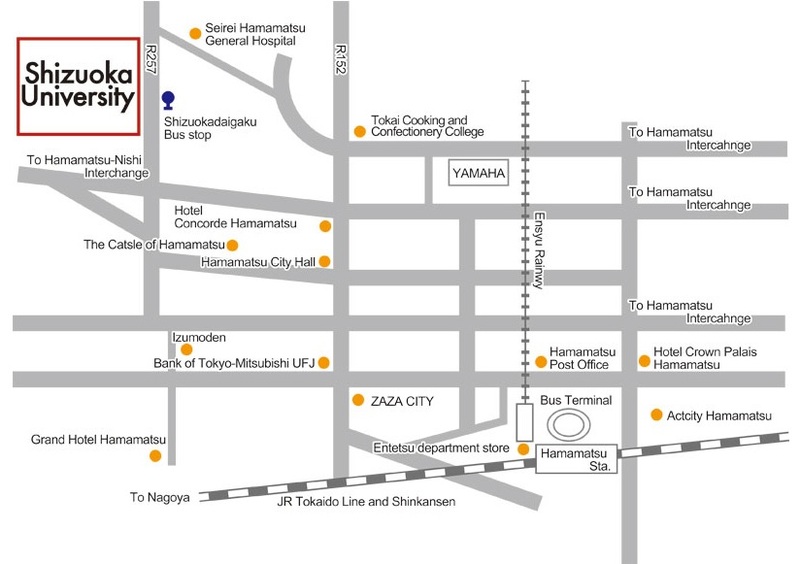 *approximate time required 20min from Hamamatsu station.